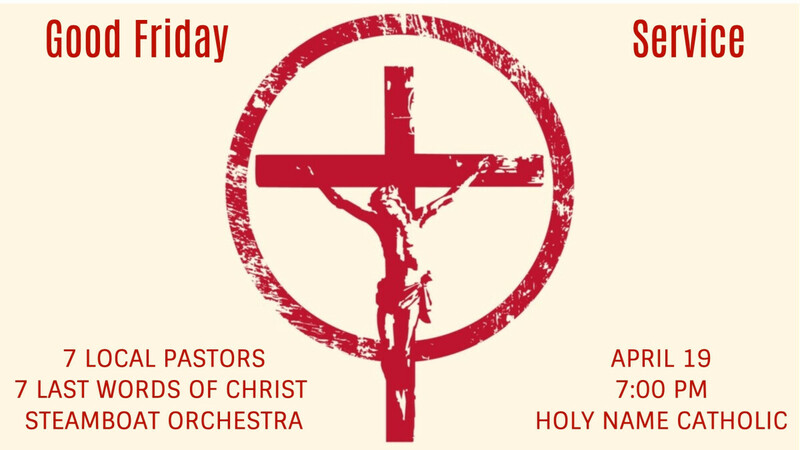 Join 7 area pastors, including our very own pastor Andrew, and the Steamboat Orchestra as we remember the work of the cross through reflections on the 7 last words of Christ. This annual event is always a special time of unity for our faith community. Steamboat Orchestra is sure to make this special night even more spectacular.